• You lack sufficient liquid funds to pay the tax liability. • The conversion combined with your other income has pushed you into a higher tax bracket. • You expect your tax rate to go down either in the near future or in retirement. • The value of your account has declined since the conversion, which means you would owe taxes partially on money you no longer have. 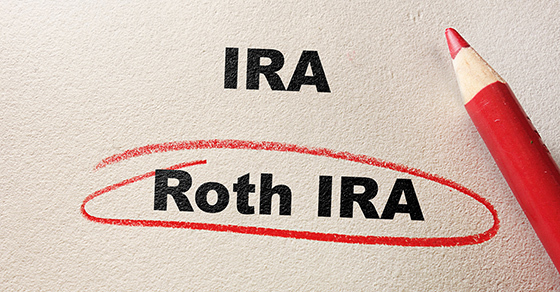 Generally, when you convert to a Roth IRA, if you extend your tax return, you have until October 15th of the following year to undo it. (For 2016 returns, the extended deadline is October 16th because the 15th falls on a weekend in 2017.) In some cases it can make sense to undo a Roth IRA conversion and then redo it. If you want to redo the conversion, you must wait until the later of: 1) the first day of the year following the year of the original conversion, or 2) the 31st day after the recharacterization. Nick had a traditional IRA with a balance of $100,000. In 2016, he converted it to a Roth IRA, which, combined with his other income for the year, put him in the 33% tax bracket. So normally he’d have owed $33,000 in federal income taxes on the conversion in April 2017. However, Nick extended his return, and by September 2017, the value of his account drops to $80,000. On October 1st, Nick recharacterizes the account as a traditional IRA and files his return to exclude the $100,000 in income. On November 1st, he reconverts the traditional IRA, whose value remains at $80,000, to a Roth IRA. He’ll report that amount on his 2017 tax return. This time, he’ll owe $26,400 — deferred for a year and resulting in a tax savings of $6,600. If the $20,000 difference in income keeps him in the 28% tax bracket or tax reform legislation is signed into law that reduces rates retroactively to January 1, 2017, he could save even more.